At first, we thought the noise was just a radio. Suddenly, the whole world is filled with static and, as it dies away, the words My Children. No-one has any idea where the noise has come from, or to whom the voice belongs. 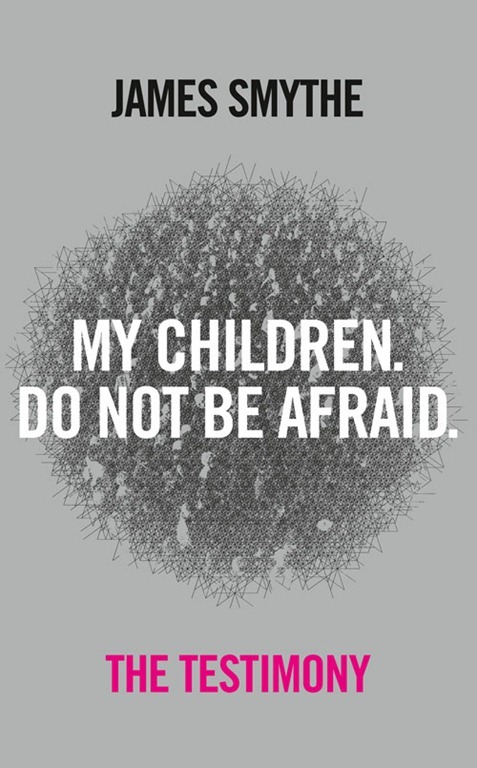 Hours later, the static returns, and the message continues: Do not be afraid. The world is immediately split into four camps: those who believe it was the voice of one or other god or God; those who believe it is a message from aliens; those who believe it is a top-secret experiment gone wrong; and those who heard nothing at all. As religious mania sweeps the globe and order begins to slip, fingers are pointed and pre-emptive strikes launched. But the voice has more to say, and the human race has even more difficult challenges to face. The Testimony is, as the title suggests, a collection of first-person accounts detailing the events as they unfold, the gradual decline of order and sanity, and the descent into chaos. There are twenty-six such accounts (according to the book’s blurb – I haven’t counted), interspersed to form a loose timeline from the first occurrence of the static through to the book’s conclusion. Only a handful of these characters form what could be considered the core group, the characters essential to the central plot of the novel, and therein lies part of the book’s downfall. As a fan of apocalyptic and post-apocalyptic fiction, The Testimony, James Smythe’s first novel, should have ticked all the boxes for me. The idea is startlingly original and it details an all-too-plausible spiral of horror and madness as things fall apart. In some ways it is reminiscent of King’s The Stand, or Wyndham’s The Kraken Wakes, documenting the transition from the world we know to the one that remains when things go horribly wrong. In places it is gripping and horrific, showing glimpses of this brilliant young writer at his best, but there are too many problems and, ultimately, the book fails on a number of levels. Some of the problems are fairly minor – nothing to ruin to story, but enough to jar the reader out of the moment. These are mainly continuity errors, problems that should have been caught before publication – names that change from one chapter to the next or problems with some of the timings: for example, everyone who heard the static heard it at exactly the same time, yet people in London heard it while eating their lunch and people in Leeds heard it at four-thirty in the morning. It sounds like nit-picky stuff, but when it’s noticeable enough to mar the reading experience, that’s a problem. A more serious problem for me was the massive overpopulation. There are a handful of key players, and it quickly becomes obvious who they are. There are other, less-important, players who nonetheless play pivotal roles in key subplots, giving a different perspective to the events as they unfold. Beyond that there are far too many characters who seem to go nowhere: we see them once or twice for the duration of the novel, or they are frequent contributors who don’t actually add anything to the story. There is a sense, as we approach the end of the novel, that they are nothing more than padding, and it’s a frustrating realisation. My biggest problem with The Testimony, however, is the fact that it fizzles to nothing at the end. It’s as if Smythe pulls away from the worst-case scenario at the last minute; instead of the brilliant post-apocalyptic vision of which we get glimpses in the middle section of the novel, we find a disappointing conclusion with a tacked-on feel. Such a shame that a book with such promise couldn’t cross the finish line with a good ending. Some books start out good and end in a fizzle while others lumber along only to give us a dazzling finish in the end. The best type of book that keeps moving nicely throughout. For all the other good elements, The Testimony is worthy of a second look to me.